There’s nothing like a good hoax. The internet has seen its fair share of famous myths thanks to the ease with which misinformation can spread. 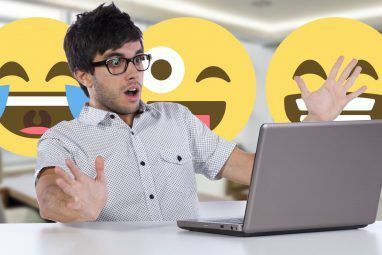 Debunking urban legends How To Debunk Online Rumors & Urban Myths How To Debunk Online Rumors & Urban Myths Have you ever seen a post on the Internet and your only reaction was "what? That can’t possibly be true". It’s happened to me lots of times and I’m always sent on a wild goose... Read More , like the infamous Iraq camel spider, thankfully isn’t actually too difficult due to the wealth of information online. Yet for some reason, people are still regularly fooled by these hoaxes. Perhaps it’s due to the human desire to find and believe in wild things, or maybe people are just lazy and believe everything they read online Do You Believe Everything You Read on the Web? [You Told Us] Do You Believe Everything You Read on the Web? [You Told Us] Having established a long time ago how great the Web is as a learning tool - packed full of information that is now all available right at your fingertips - it's time to remind ourselves... Read More . Either way, one popular hoaxing topic that has fooled people for years is Apple’s iPhone. Let’s take a look back at some of the dumbest iPhone hoaxes that have spread over the years. Most of these surfaced as “tips” or “hacks” that would in reality destroy your phone or render it unusable. One of the headline features of the new iPhone 7 (and 7 Plus) Everything You Need to Know About the iPhone 7 & iPhone 7 Plus Everything You Need to Know About the iPhone 7 & iPhone 7 Plus No headphone port, water and dust resistance, and Apple's best camera yet -- this is the iPhone 7. Read More is being water-resistant. We’ve explored what actually makes a device waterproof or water-resistant What Makes a Device Waterproof or Water-Resistant? What Makes a Device Waterproof or Water-Resistant? A lot of devices are marketed as waterproof, but that can be severely misleading. Most are actually water-resistant. What's the difference? Here's everything you need to know about it. Read More , which is obviously something built into the physical device. That didn’t stop people from believing that updating to iOS 7 would magically make their phones waterproof, though. When a fake advertisement made to look like official Apple information created by 4chan users advised folks that the latest OS update would make their phones waterproof, many believed it. The victims never stopped to think about how a software update could have an effect on the ability of the phone to resist being thrown into water How To Save A Wet Cell Phone Or Tablet How To Save A Wet Cell Phone Or Tablet I’ve got bad news for you. Dropping your phone in a puddle of water, bath, sink, toilet – even getting caught in a heavy shower – will leave it irreparably damaged. The same goes for... Read More , and ended up with a destroyed unit instead. Even with a waterproof phone, you shouldn’t push your luck. 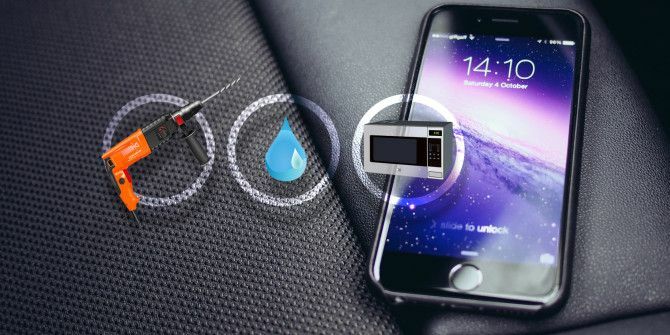 Treat the waterproofing of your $700+ phone as accident protection, not a feature to be pushed to the max with potentially disastrous results! Certainly the most controversial feature of the new iPhone 7/7+ has been the removal of the headphone jack. A good pair of Bluetooth headphones The 7 Best Bluetooth Headphones You Can Buy The 7 Best Bluetooth Headphones You Can Buy Finding the right pair of Bluetooth headphones isn't easy, so we've compiled a list of the best Bluetooth headphones money can buy. Read More or use of the included lightning-to-stereo adapter solves this problem, and the new iPhone still sounds great. No Stereo Jack, No Problem: Why the iPhone 7 Sounds Great No Stereo Jack, No Problem: Why the iPhone 7 Sounds Great It's official -- Apple has removed the standard 3.5mm headphone jack on the iPhone 7. But don't worry, this is a good thing. Read More But many still aren’t pleased. Of course, nothing is stopping people from refusing to buy a phone that doesn’t have the features they want. Some iPhone 7 users have instead decided to take matter into their own hands and drill a hole into their devices to find the “secret” 3.5mm jack. Of course, this results only in a destroyed iPhone. Having a look at the comments of the YouTube video above (that started this trend) reveals hundreds of people that tried this and wonder why it doesn’t work. We’re not sure how people could be this foolish, especially since this isn’t the first iPhone hoax. It turns out taking a drill to your device isn’t a good idea. Check out a few other reasons for skipping the iPhone 7 Why You Might Want to Skip the iPhone 7 & Wait for the iPhone 8 Why You Might Want to Skip the iPhone 7 & Wait for the iPhone 8 2017 marks ten years of iPhones, and rumor has it that Apple has something very special planned. Read More if the lack of a headphone jack is a sticking point for you. Microwaves are great for cooking food, but have you ever seen an electronic device put into a microwave? It doesn’t end well. That didn’t stop the iOS 8 “microwave charging” iPhone hoax, however. Coming once again from the depths of 4chan, another real-looking Apple advertisement surfaced touting iOS 8’s ability to recharge your phone with just a few moments in the microwave. While the waterproof myth at least has some basis in reality How Star Trek Predicted the Future We Now Live In How Star Trek Predicted the Future We Now Live In Faster-than-light travel may be a long way off, but Star Trek still successfully predicted the future we now live in. Read More , you would hope that the majority of people know that microwaves don’t mesh well with phones. Unfortunately that didn’t stop people from trying this out for themselves. A quick glance over the comments on the video “proving” that this works shows several commenters lamenting their newly ruined phones. Had they taken the precaution of performing basic fact-checking The 5 Best Unbiased Fact-Checking Sites for Finding the Truth The 5 Best Unbiased Fact-Checking Sites for Finding the Truth This is the age of misinformation and fake news. Here are the best unbiased fact-checking sites so that you can find the truth. Read More , perhaps their several-hundred dollar investments wouldn’t have gone down the toilet. Unlike the above hoaxes, this one started as an actual bug in iOS Google Photos Kills Picasa, Unix Flaw Bricks iPhones... [Tech News Digest] Google Photos Kills Picasa, Unix Flaw Bricks iPhones... [Tech News Digest] Google retires Picasa after 14 years, your iPhone has bad memories of the 1970s, Netflix goes all in on Amazon Web Services. the Nigerian scam no one will fall for, and jamming with Google Translate. Read More that was exploited by those who wanted to have some fun with it. Any newer 64-bit iDevice (equal to or above the iPhone 5S, iPad Air, iPad Mini 2) that had its date changed to January 1, 1970 would not be able to start back up if it was shut off. This was caused by the way that Unix (which iOS is based on) keeps time. It uses a 32-bit number to record the number of seconds that have passed since 00:00 UTC on January 1, 1970. Apparently, Apple (understandably) never planned for a phone to be set to this paradoxical date. iOS 9.3 arrived soon iOS 9.3 Has Arrived, Here's Why You Should Upgrade iOS 9.3 Has Arrived, Here's Why You Should Upgrade While mainly focusing on bug fixes and increased performance, iOS 9.3 introduces few new features which make updating all the more worthwhile. Read More after this bug was found, and patched it up. While most people would never have a reason to change their phone’s time like this, it didn’t stop some pranksters from having some fun. An “Easter Egg” was circulated that claimed changing the date would unlock a retro Macintosh theme. This, of course, was not true, and resulted in a lot of iPhones being turned into doorstops. For another interesting implication of Unix time, check out the Year 2038 Problem. An unfortunate design flaw, the tendency of the iPhone 6 to bend in tight pockets or under stress was well-known during its time. This garnered plenty of humorous reactions on Twitter Trolling Apple: The 18 Best Reactions To The iPhone 6 Bending [Weird & Wonderful Web] Trolling Apple: The 18 Best Reactions To The iPhone 6 Bending [Weird & Wonderful Web] Apple was trolled hard over the iPhone 6 Plus bending, and we have compiled the best reactions to BendGate just for you. Read More , and most people knew to avoid placing their phones in tight positions. If you’ve been following along, you already know the story here. People capitalized on the bending “feature” of the iPhone 6 and created videos letting people know of the new “functionality.” This YouTube video that mocks Apple’s style is pretty obviously fake, but scour the comments and you’ll see people asking if their warranty covers a bent phone. You’d think people would at least run a quick Google search before doing something that could ruin their expensive phones. Apparently, you’d be wrong! It’s fun to look back and see all the silly pranks that have been pulled Charge Your iPhone With an Onion, And Other Elaborate YouTube Hoaxes Charge Your iPhone With an Onion, And Other Elaborate YouTube Hoaxes Remember that eHarmony cat lady? Or the pig who rescued a goat? They were both hoaxes; here's a few more. Read More in years past. Of course, it wasn’t funny for the people who fell for this stuff and broke their phones, but that’s on them. By observing what has happened before, we can be better prepared for the future and the hoaxes that may arise in years to come. If you don’t take anything else away from this article, know that the depths of the internet have no problems trying to fool you into destroying your equipment. Don’t do anything with your devices that seems suspect (and Google it first). Interested in uncovering more truth? Check out these famous movie hoaxes that, unsurprisingly, aren’t true Solved by Snopes: 4 Movie Hoaxes You Probably Believe Are Real Solved by Snopes: 4 Movie Hoaxes You Probably Believe Are Real Movies are perfect fodder for hoaxes, and some famous ones have persisted for years. Let's examine the truth behind some of the big film myths debunked by Snopes. Read More . We hope the answer is no, but do you know anyone who fell for one of these hoaxes? 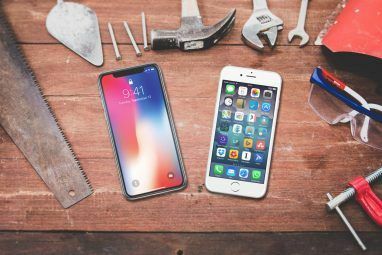 If you know of another big iPhone hoax, let’s talk about it in the comments! Explore more about: iPhone 6 Plus, iPhone 7, Prank. 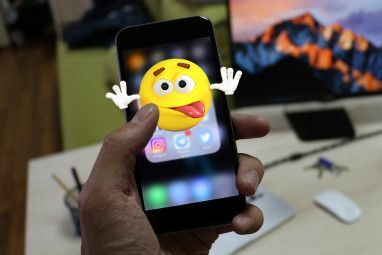 How to Use Your iPhone as a Webcam: 5 Methods That WorkWhich iPhone is Best for You? Running out of material for articles? This article is a verbatim copy of one published couple of weeks ago. I definitely didn't copy anything to write this, so would you care to point out the piece in question? Ah, so it is. I never saw that article before publishing this, though. In fact, I hashed out the idea with my editor on October 9th. It seems to be a coincidence.